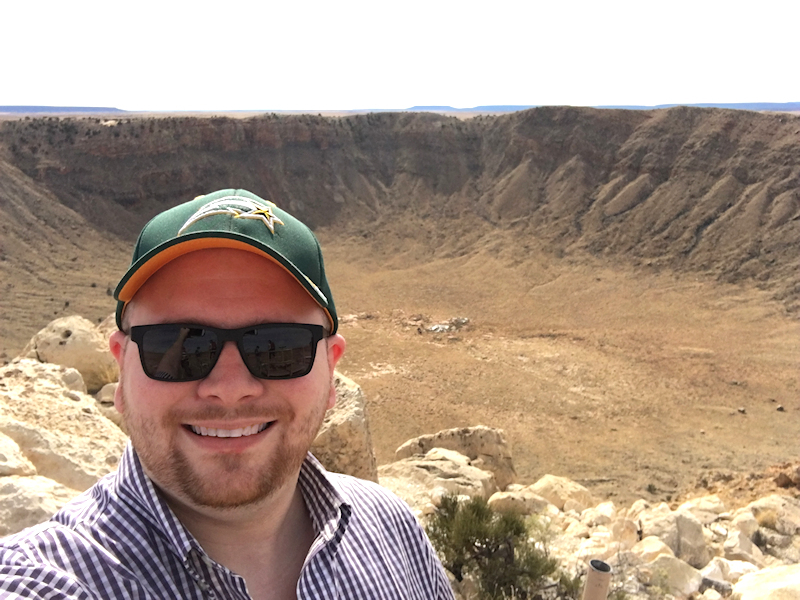 Me at the Meteor Crater in Winslow, AZ in 2017. I have lived in Woodbridge, Virginia (USA) all my life, DXing here almost 20 years. Prior to becoming a DXer, I was always interested in broadcasting. It was always fun to watch local TV news on unfamiliar distant channels while away from home, even as a kid. Although I wasn’t initially concerned with distant FM stations in my travels, I was highly interested in the local Washington, DC radio band and have fond memories of it dating back to the early 1990s. Outside of DXing, I am into music and I love to travel. I’ve been to almost 40 states and love to visit interesting, random things off the beaten path. Check out my travel-focused blog, Destination: Signs. I came across DXing by accident at the age of 14. I was trying to find something to listen to early one morning in May 1999. I landed on a very strong stereo signal, liked the music playing, and went back to whatever I was doing. I was surprised when I heard that the radio station identified itself as 104.5 WNVZ in Norfolk, VA. An internet search revealed the station was 124 miles away from me. I soon realized later that morning that the same warm weather that brought in WNVZ also brought in distant TV signals throughout Virginia, including Norfolk, Richmond, and Charlottesville, as well as Baltimore, MD. It fascinated me to watch the early morning news from these unfamiliar stations.. I also discovered the AM band around the same time and listened to distant signals, such as WBZ Boston and WSB Atlanta. The DX bug bit me, and it has never been the same. Much like now, I was limited to rabbit ears as an antenna early in my career, but this was not a problem, since the condo’s location on the top of a tall hill allowed signals up to 300 miles away to come in with ease on many summer nights. In 2000, I didn’t know of many DXing resources easily available online, except for DXFM and Radio-Locator. I read about tropo before, but knew nothing of E-skip when I successfully logged my first Es signal, 96.9 KNID Enid, OK at 1135 miles on 6/16/00, FM log number 62. Rare channel 10 Es screenshot of KAKE Wichita, KS @ 1098 mi from the 7/6/04 opening. Since I was a busy teenager, I casually DXed between 2000 and 2004. I didn’t work many Es openings and typically focused on tropo. I took a break from DXing from 2003-2004 due to moving to a home which had poor indoor reception. In May 2004, I installed a Radio Shack VU-90XR roof antenna and resumed daily DXing. 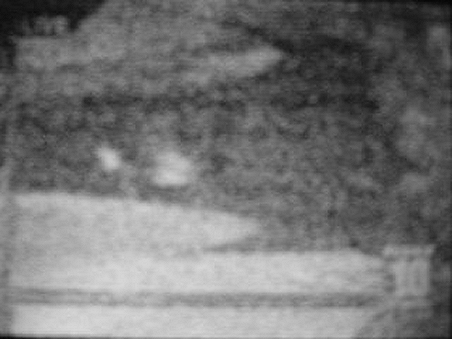 On 7/6/04, I witnessed a once-in-a-lifetime E-skip opening that had a MUF of 198 MHz, or TV 10. This opening was a pivotal moment in my ‘DXing career’ because almost all FM frequencies (including locals) and all low VHF TV channels, were inundated with distant signals. DXing the 7/6/04 Es opening exponentially increased my interest in the hobby and encouraged me to monitor the bands daily for Es. This was a period of great improvement in my DX shack. I started to use real, dedicated FM tuners, starting with a borrowed Mitsubishi DA-F76. I added RDS capabilities in 2006 with the Denon TU-1500RD. I was one of the first DXers to use an HD Radio in everyday DXing, after adding the Sony XDR-F1HD to my shack in 2008. I joined the many other DXers using software defined radios, or SDRs, in 2017. Also in 2017, I moved back to the condominium neighborhood I lived in as a kid (this time as a homeowner) and experienced similar reception. After reading DXFM.com and KW4RZ’s great DX websites, I was inspired to create my own DX website in 2006. I moved my website to the WordPress blog format in 2010. Being a DXer in my early 30s, I am in a prime position to witness many technological changes, radio format switches, signal swaps/move-ins and other changes to the radio dial and DXing environment that makes the hobby fun in the coming years and decades. DXing today is much different than it was in 1999, and I expect it to be just as different 20 years from now.